Mary Pryor is the New York chapter president of Minorities for Medical Marijuana. 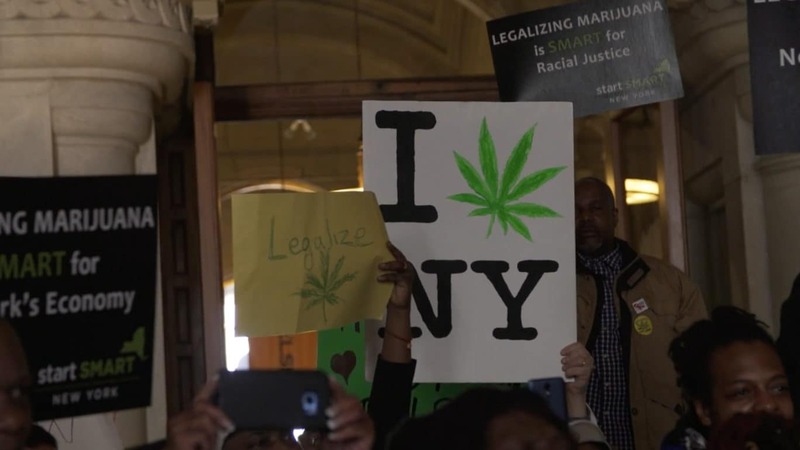 New York’s cannabis advocates’ mission to legalize adult-use through the April 1st legislative state budget is stalled for now, but the fight for equity and social justice is not going anywhere anytime soon. The conversation on equity on the east coast needs support, amplification, and more facts behind why this matters. Economic opportunity, social justice, and fair access to this plant as medicine is at stake. Yet, when it comes to understanding the ramifications of optics and lack of opportunity in cannabis, the facts are often misunderstood or ignored. One of the key barriers is all about the Benjamins, aka, money. Capital is the key hurdle for most communities of color when it comes to existing in this space. Cannabis is quite expensive to purchase, and out of reach of reasonable budgets. Plant-touching businesses are funded through private capital without any loans, grants, or funding, due to their Schedule 1 Drug status, which involves strict regulations. At minimum, a plant-touching business needs to have a previous business in cannabis, plus 5 – 10 million dollars in fluid capital ready before thinking about applying for a license as a dispensary, cultivator, processor, or manufacturer in the United States. While there is an uptick in news stories focusing on expungement efforts, pathways to ownership from the illicit market are not clear for those coming into a legalized market. Citizens with a criminal cannabis offense cannot own or operate a plant-touching business. Once an expungement process clears a record, most policy items do not address the lack of pathways to work and ownership within the cannabis industry. As for New York, the state constitution allows for records to be sealed, a process known as vacating. This still allows for probable discrimination in the hiring process, given all of the stigmas placed on formerly incarcerated citizens. Taking all of this into consideration offers vast opportunities in the ancillary business market. Curating interest around non-plant-touching business requires less strenuous capital and allows for greater flexibility when it comes to managing a stabilized business. Cultivation and retail metrics software startup co-founder, Jacobi Holland of Jade Insights, wants to see New York go green with equity at the forefront. The 2017 Women and Minorities in the Marijuana Industry Report from Marijuana Business Daily provides statistical data to support why equity has to be part of the cannabis conversation. Here are some statistics to shape your head around equity what the current landscape looks like for minority-owned businesses in cannabis. Social equity and policy provisions are one of the best ways to address economic inequalities within this industry. When you consider the indigenous origin of a cannabis plant and systemically deep injustices towards Black and Latino populations since Prohibition in 1937, it is grossly concerning how this industry aims to keep communities harmed by the War on Drugs. Social equity policy, education, ancillary business awareness, and restorative justice policy provisions are some of the best ways to address economic inequalities within this industry. These factors, along with education, can reduce stigmas and false information that will hinder progress for those who truly need cannabis as medicine to live, and provide a chance to build generational wealth. Among her colleagues, Mary Pryor is known for being a trendsetting, innovative, passionate and strategic problem-solver for over a decade. Mary has always been ahead of the curve due to being immersed in automotive design, electrical engineering, music, education, digital arts, and marketing, while being raised in Detroit. She is a bicoastal media expert; co-founder and CEO of Cannaclusive, a collective focused on inclusion in the cannabis industry; New York chapter president of Minorities for Medical Marijuana; and serves as the current New York advocate for The People’s Dispensary.